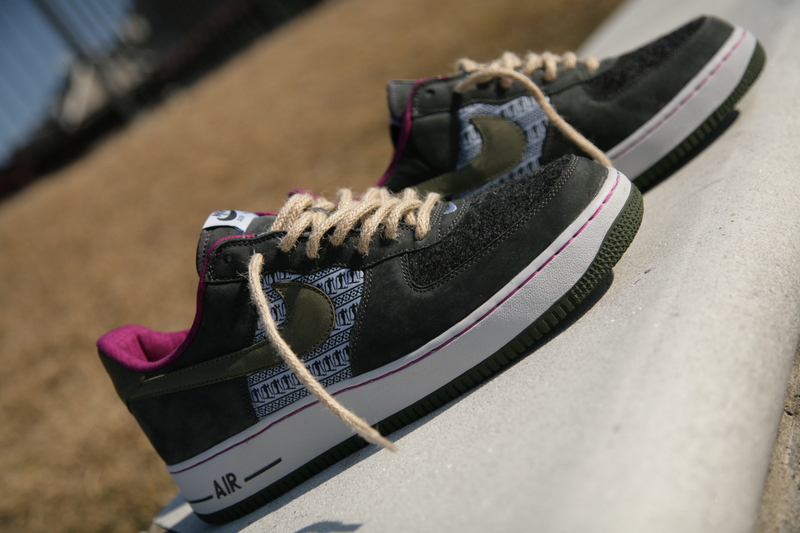 AF1 Nordic Pack | Airforcejunkies. Nordic Pack. Style Number: 308038 431. It was designed by Jeff Staple and released in 2006 and was the women’s version of the Nordic Pack. There are a lot of nice details on this shoe, for me these were one step ahead of the men’s release. Some ballistic nylons, merino wool, army olive swoosh and backtab, and a bright liner. There are also silhouettes of skiers on the mid-panel. It has the Nordic map captured on the insole and comes with two laces. The rope laces looks great against the shoe. Just picked these up recently.